Pondering Powerlinx, Conceiving Content and Syncing September! 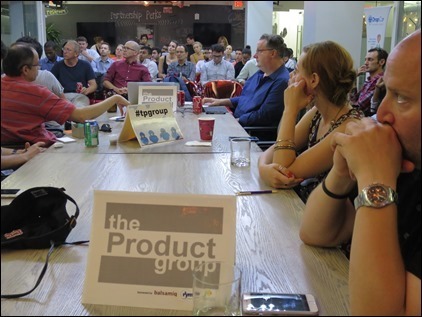 Thank you to everyone who made it to our latest roundtable meet-up of The Product Group at WorkVille, as well as to our other sponsors, Yext, Digital Ocean, BKLYN, InVision, SUMMIT, Balsamiq Studios and Sunshine Suites. Stay tuned for more announcements about September’s Featured Product, SummitSync.